I specialize in representing both buyers (including first time buyers) and sellers in residential real estate. I also work in the area of rental income properties—–again working with both buyers and sellers. Buying a home? 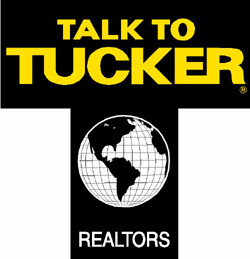 I will help you find the home of your dreams by taking the time to listen and understand your needs and desires. Once I know what are the most important aspects of your home search, I will work tirelessly to find the right home for you at the right price, because no one should have to compromise when it comes to such a huge purchase. I will educate you about the process if you have not purchased a home before, and will keep ALL my clients informed, plus make sure that you meet deadlines in a timely manner. Selling your home? My expertise in the Indianapolis Metro Area, Carmel, Fishers, Geist, Zionsville and Westfield real estate markets will help ensure that you get the best price for your property. My finely-tuned marketing program will make sure the right people see your home. Your property will be marketed on the most important real estate websites for major market penetration as well as marketed in a variety of other ways. My strengths are in the areas of negotiation, financial analysis, communication and interpersonal skills all coupled with an extraordinary attention to detail. A Hoosier native, I graduated from Hanover College with a B.A. in Business Administration. I then pursued a 15 year career in retail buying and merchandising while living in Indianapolis, New England and Charleston, SC. After 25 years out of state my family and I returned to the Indianapolis area in 2005— elated to be home once again. My extensive experience in both retail and real estate coupled with frequent buying trips to NY and L.A as well as Hong Kong, have taught me to be a tenacious negotiator working for my clients’ best interests, whether buyers or sellers. Also I have strong visual skills which help my sellers stage their homes properly, while I can assist my buyers in seeing the “possibilities” in prospective homes they visit. Since I have made several cross country personal moves, I am well aware of the issues those moves can involve and will do my best to help you relocate—whether it is in or out of the Indy Metro area—-or a move just a few blocks away.